Rakesh Jhunjhunwala had a very important piece of advice for his legion of investor-devotees when he said, at a recent MINT-organized investor conference, that investors’ decisions to buy or sell stocks were based on either extreme greed or extreme fear. Rakesh Jhunjhunwala pointed out that when markets are bullish, investors throw caution to the winds and throng the stock market and buy stocks like there is no tomorrow. And when markets are in a bearish tone, investors waste no time in dumping stocks and taking sanyas from the market. He pointed out that if he recommended a stock to his friends and said that it would double in a couple of years, there was disappointment writ large on their faces. “It will only double?” they ask, expecting unrealistically that every stock they buy must turn into a multi-bagger. Both modes of behaviour are extreme and get the investor into trouble said Rakesh Jhunjhunwala. He added that in his own portfolio, if he was able to garner a return of 18% per year, he would consider himself a good investor. He emphasized that an 18% return every year meant that the value of his portfolio would grow 5 times (523%) in 10 years. And if his portfolio could grow at 24%, then he would consider himself a “great” investor. He also pointed out that there was no other investment avenue known to mankind that could generate such fabulous tax-free returns. 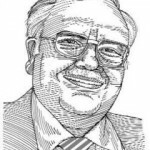 Rakesh Jhunjhunwala’s portfolio buys and sells deserve to be studied because they reveal great secrets on how the master investor is thinking about stocks. 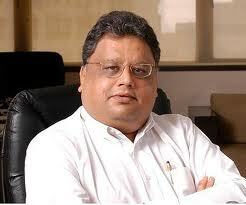 Rakesh Jhunjhunwala’s most successful recent stock portfolio buy must be VIP Industries. He identified VIP Industries when it was languishing at Rs. 65, beset with numerous problems. In hindsight, the decision to buy VIP Industries seems to be a no-brainer. VIP Industries is engaged in the high-growth consumer segment, has immense opportunity to scale its business and is managed by top-quality management with excellent pedigree (see Rakesh Jhunjhunwala & VIP Industries: Best Stock Pick!). His recent purchases of the stocks of Sterling Holding Resorts and Delta Corp are a perfect example of how the master investor is making his investment decisions. Sterling Holding Resorts aspires to catch up with Mahindra Holidays on the valuation front and if that happens, Rakesh Jhunjhunwala will have his multi-bagger. The master investor made it clear why he liked Sterling Holiday Resorts – excellent opportunity to cash in on the middle class’ travel aspirations, a “moat” in the form of hard-to-replicate resorts in 14 exotic locations, strong management team (Ramesh Ramanathan, Ex MD of Mahindra Holidays) and premium valuations for profitable niche companies (see Rakesh Jhunjhunwala’s 5 Reasons To Buy Sterling Holiday Resorts). His purchases of Delta Corp is also on the same benchmark. Delta Corp enjoys the first-mover advantage in the multi-billion gambling and gaming industry. If the Indian gaming industry (Goa & Daman) become even a fraction of what Las Vegas is, Rakesh Jhunjhunwala will have his multi-bagger in Delta Corp (see Why Is Rakesh Jhunjhunwala “Very Excited” About Delta Corp). The fact that Rakesh Jhunjhunwala is joined by Radhakishan Damani in the Sterling Holiday & Delta Corp stock investment adds enormous added comfort to his disciples (see Radhakishan Damani’s multibagger stock portfolio picks). Rakesh Jhunjhunwala ‘s recent purchases of Subex & Pipavav Defence & Offshore Engg also deserve to be taken note of. Subex has got badly pummeled on the stock markets in the past few years. This happened because Subex borrowed heavily and its debt-equity ratio was a scary 2.6 times. However, he expects Subex to get its debt in shape by restructuring the FCCBs and improving the cash flow situation. Also he expects Subex to scale up its niche services to telecom companies to be scaled up after the global economy gets back into shape. Rakesh Jhunjhunwala’s purchase of Pipavav Defence & Offshore Engg came as a bit of a surpise bvecause he prefers to invest in light weight consumer oriented companies which rake in their profits by selling fast moving consumer products by relying on their brand name. Pipavav Defence does not fit into the master’s text book portfolio stock because it is engaged in a capital intensive industry that is subject to cyclical trends. However, He appears to be banking on the fact that Pipavav Defence is a turnaround story. After a spate of losses, Pipavav Defence has reported decent results. In Q1FY12, Pipavav Defence‘s total income increased 83% to Rs.345 crore. Pipavav Defence‘s EBIDTA increased 194% to Rs.73 crore. Pipavav Defence‘s EBIDTA margin increased to an impressive 21.2% from 13.2% on a YoY basis. Pipavav Defence earned a Profit After Tax of Rs.7.94 crore as against a loss of Rs.9.79 crore in Q1FY11. Rakesh Jhunjhunwala is also bullish on the fact that Pipavav Defence is planning to build another dry dock for which it intends to raise about Rs.1300 crore. He is also optimistic about Pipavav Defence‘s foray into the highly lucrative defence sector. Pipavav Defence recently signed a MOU with Mazagon Dock Limited for this purpose though that deal has got mired in controversy putting a shadow on Pipavav Defence‘s stock price. 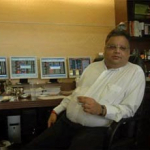 Rakesh Jhunjhunwala Says Buy Stocks Now!